Sometimes, sticking to the basics is the best way to go. Whether you're going for the industrial look or looking to tone down the metals in your interior, these architect stools make the perfect seating option for the bar, or the drafting table! 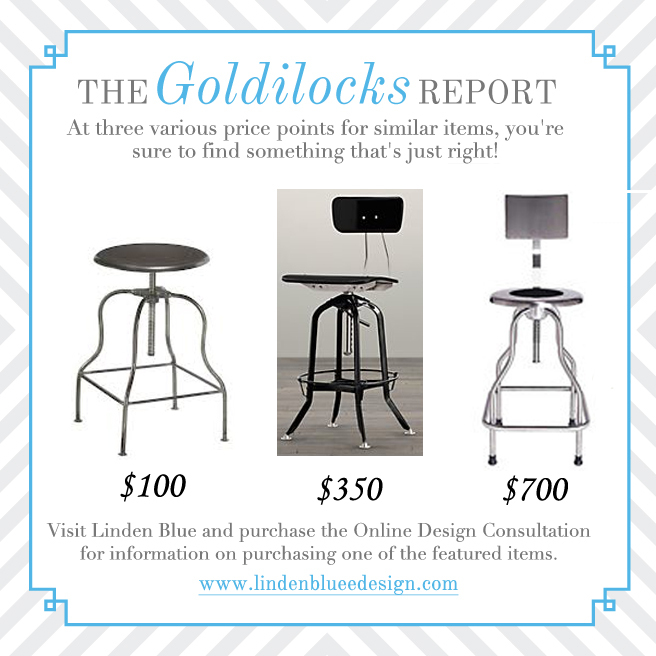 Visit Linden Blue for online decorating guidance on where to find the perfect piece, at the perfect price!